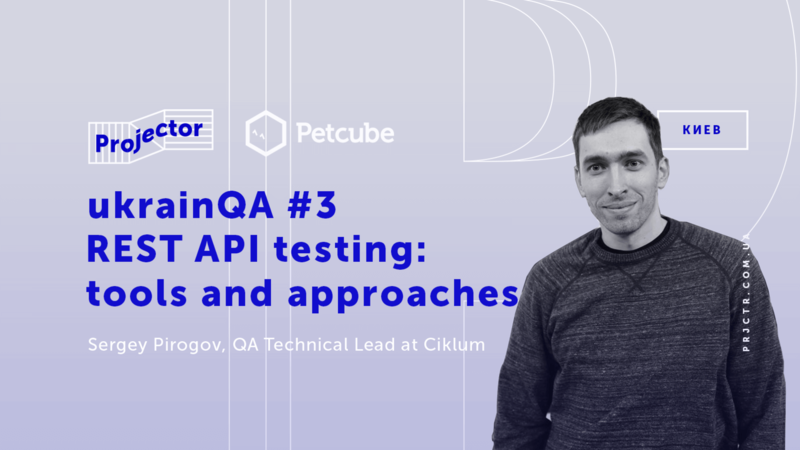 Sergey Pirogov — QA Technical Lead at Ciklum, he is an experienced Software Test Automation Engineer. His specialization is functional automation testing, also he has experience in performance testing, building test automation framework and setting CI for automation process. REST API testing is simple and easy, but people still ask a lot of questions about it. In this talk, I will tell about my own experience and tools that I use in my daily work. It will be mostly about Java ecosystem, but some hints might be applied to any tool set. We invite you to the third lecture in the cycle of UkrainQA events.